Featured Fiction – Live. Laugh. Scream. Love short stories? 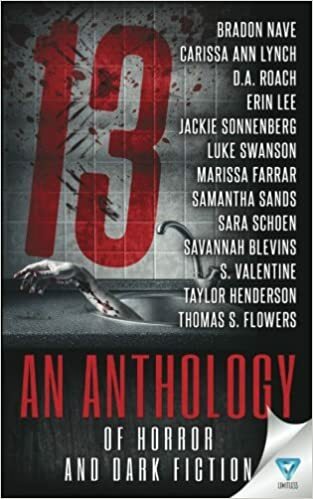 Be sure to check out these anthologies featuring Thomas S. Flowers as well as a ton of other wickedly talented storytellers. They’re watching you. They see the way you clutch your blanket. They smell the sweat trickling down your back. They hear the fear pulsing through your veins…and they love it. 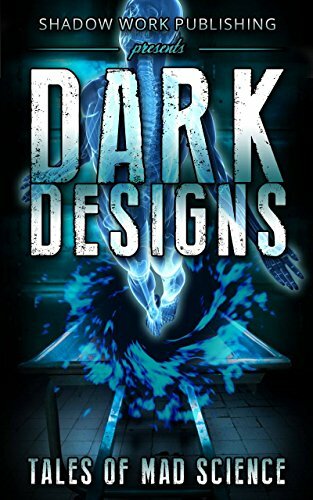 This is a collection of stories about what really hides beneath your bed, watching, waiting, listening to every breath you take. It’s about the creatures that come out to play on the full moon, and the things that wake at the devil’s hour. Are you ready to find out what really goes bump in the night? The true reason behind your midnight tremors? You’d better be. 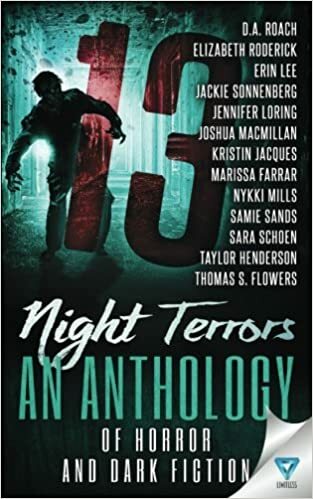 13 is back—and it’s brought Night Terrors. Twilight Zone. The Outer Limits. Fringe. Science without limits. Madness without end. All proceeds from the purchase of this ebook will be donated to Doctors Without Borders. This is a warning. What you are about to read violates the boundaries of imagination, in a world where science breeds and breathes without restraint. A world very much like our own. Within these shadowy corridors you will discover characters seeking retribution, understanding, power, a second chance at life—human stories of undiscovered species, government secrets, the horrors of parenthood, adolescence and bullying, envisioned through a warped lens of megalomania, suffering, and blind hubris. Curious inventors dabble with portals to alternate worlds, overzealous scientists and precocious children toy with living beings, offer medical marvels, and pick away at the thin veil of reality. You can run. You can look away. But don’t say we didn’t warn you. 13 came for you once. Are you ready to face it again? Evil can be fought. Ghosts can be hunted. But darkness can never be defeated. It only retreats, lurking in the shadows, waiting for you to let your guard down. You might think you’re free, but once it has its eyes set on you, there’s no escaping it. Whether today, tomorrow, or next week—it will strike. No matter where you run, where you hide, it will find you, and it will make your worst nightmares come true. The family with buried secrets. An old factory hiding shadows within its walls. A serial killer honing his deadly skills. It’s all here, about to prove that nothing is ever as it seems. Think twice before you switch off the lights, before you close your eyes and say goodnight. It’s happening again. 13 is coming for you. 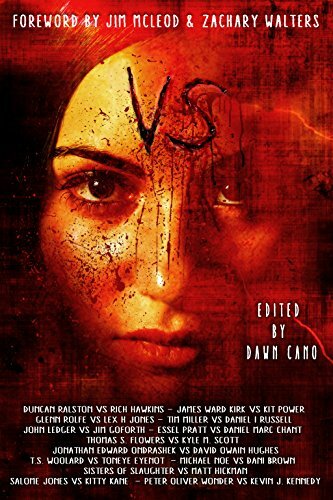 A BATTLE ROYALE OF US AND UK INDIE HORROR HEAVYWEIGHTS! All proceeds from the purchase of this ebook will be donated to the Second Chance Center for Animals (US) and the West Wales Poundies Dog Rescue (UK) charities. Who writes the best horror: the US or the UK? 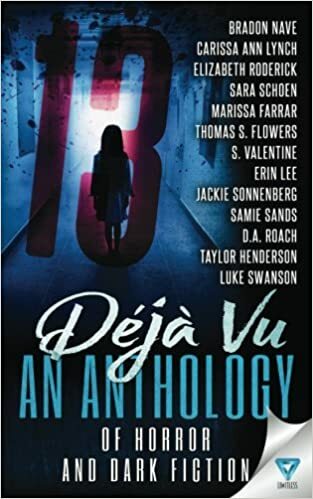 Find out for yourself in VS: US vs UK, a competition anthology featuring some of the year’s best horror, judged by horror enthusiasts and you: the readers. Featuring Pre-Fight Hype from The Ginger Nuts of Horror and The Eyes of Madness! Matt Shaw has called upon some of the biggest names in horror to put together an anti-Christmas anthology of horror and weirdness! 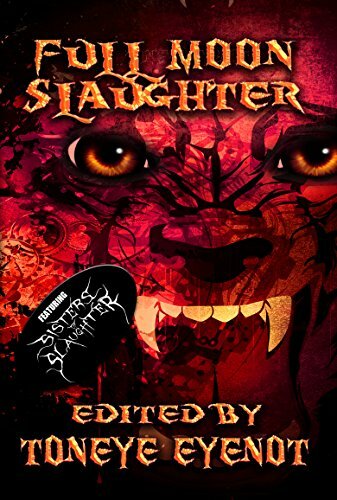 Please note This anthology is made up of both reprints and original stories from the authors. All monies received from this title go to different charities each month! Over 100,000 words and more than 400 pages! Grab a bargain, support charity and get to know new and familiar authors! This quote, made famous from the 1941 werewolf film classic, The Wolf Man, is the embodiment of the terror within man of that which can’t be controlled – The beast which resides within us all. The curse (or blessing, depending on one’s perception) of the werewolf has inspired many films and many books, which now brings us to Full Moon Slaughter. 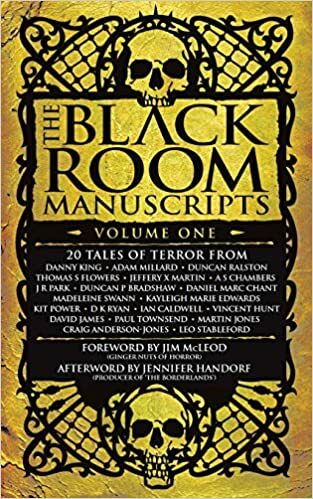 Within this tome, you will find a large and diverse collection of tales; stories which are dark, brutal and haunting. Tales true to the wolf or other shifter within. Accounts of Lycanthropy, of curses, lunatic carnage and full moon mayhem. Welcome to the slaughter. It’s time to unleash the beast within!